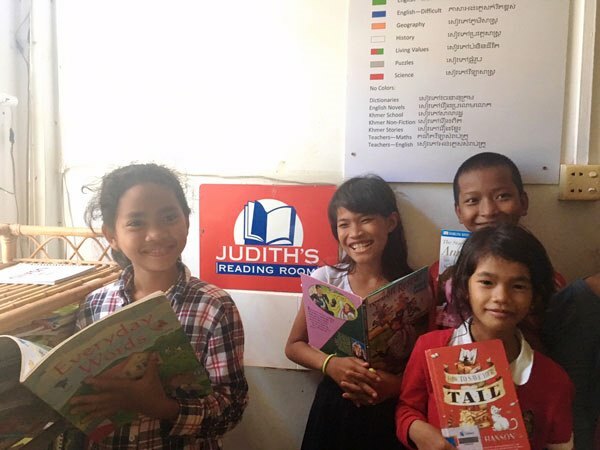 A new photo of children using our books at Anjali House, Cambodia. Anjali House is a local NGO that is supporting 120 students and their families through education, basic care and the arts. All the children and young adults from 5 to 19 years old come from impoverished families who can’t afford the cost of education and most of the time can only provide a meal a day.